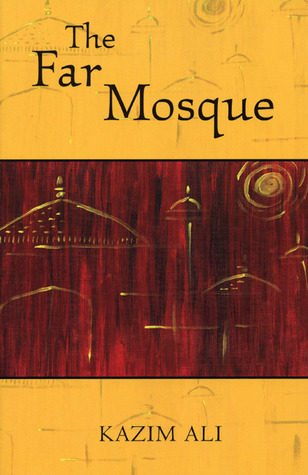 The Far Mosque by Kazim Ali is a collection of poems in which a journey toward enlightenment is not what the narrator expects. The Far Mosque is a place where enlightenment can be reached. Many of these poems are not about a journey to a place but a journey within the self. Ali plays with language in these poems, with many relying on homophones to carry a dual meaning. The silent groundswell, the swell of silence. Silence is a pervading theme throughout as the narrator tries to quiet his own beating heart to enjoy the silent moments of nature in “One Evening,” or when Yogis open their mouths to drink rain, rather than speak in “Rain.” The journey has taken this narrator many places, but many of these trips have done little to achieve peace or calm. The narrator is looking for a way to separate from the known self, to find that inner place (“The River’s Address”) where he can return again when the world or his state of mind requires re-balance. The Far Mosque by Kazim Ali is a meditation of its own, with poems evoking ties to nature and its quiet beauty, but also its tumultuous moments and chaotic presence. Some of these poems will require greater meditation from the reader. Kazim Ali is an American poet, novelist, essayist and professor. His most recent books are The Disappearance of Seth (Etruscan Press, 2009) and Bright Felon: Autobiography and Cities (Wesleyan University Press, 2009). His honors include an Individual Excellence Award from the Ohio Arts Council. 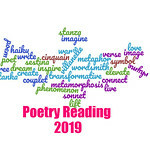 His poetry and essays have been featured in many literary journals and magazines including The American Poetry Review, Boston Review, Barrow Street, Jubilat, The Iowa Review, West Branch and Massachusetts Review, and in anthologies including The Best American Poetry 2007. I don’t think this is my cup of tea, but I did like the lines you included with your review. That poetry is probably too smart for me.